If you are tempted to think that the 2013 Arctic Cat mountain sleds are just re-stickered 2012 models you might want to rethink that. In 2012 Cat rolled out a new lineup from top to bottom in a new chassis. Sometimes when this happens, a manufacturer the following year, simply gives us the ‘Bold New Graphics’. Well, that is not the approach that Cat has taken with the 2013 M sleds. For 2013 the M1100 and M1100 Turbo 4-strokes returned along with the M800 2-stroke. We expect to see that motor lineup change a bit for 2014 as Cat brings their motor department internal, but the current offerings are terrific. We and others have written much about the M1100T and the fact that you can get a factory turbo, with full warranty and dealer support… we can debate the 4-stroke vrs 2-stroke thing, but there is no denying that the M1100T makes big power, and is especially nice because it maintains that at altitude. The M800 could also very well be the most powerful 800 production 2-stroke out there. We’ll leave that to the dyno jockeys to debate. But spend even a few minutes on the M800 and you will realize that it continues its tradition of smooth running power and ride it for a couple of seasons and you’ll be a believer in its durability. For 2013, the M Series gets some terrific updates. We’ll briefly mention that there were changes to the reverse mechanism on the 4-strokes to improve operation as well as a change on the M800 to use the Turbo compound drive belt. Those things do make a difference in how well the reverse works and the life of the drive belt. But the real changes come in the chassis. Motor performance is on par with the 2012s, but changes to the chassis are significant when it comes to how the machine performs in the deep snow. First off, the front steering/turning geometry gets a change. The front spindles get a new mounting point for the tie-rods that is 15mm inboard from the 2012. That increases the turning travel in the front end by 17.5%. What that means is that the 2013 will turn dramatically sharper than the 2012. We do a lot of tree riding and this change was noticed in about 2 minutes as we weaved through the trees and continues to be a welcome change every time we find our self up a ravine and looking for a turn around. Along with the steering change, the front end was narrowed up 2” and the rear suspension mounting location in the tunnel was changed. We found the 2012 M sled to be a little reluctant to pull up and sidehill. Once you had it up, it held a line fine, but for the inexperienced especially, getting it on to a sidehill was a little bit of work. The combination of the narrower front end and the mounting point changes in the rear suspension make the 2013 much easier to pull over and sidehill. Even some of our less experienced mountain riders found it a predictable and easy maneuver. You can buy an accessory kit to retrofit your 2012 to the narrower ski stance which we appreciate Cat providing. The other 2 big changes for the M Series are on the back end. First the new Ms get a changed ProClimb tunnel. This makes the backend of the sled much cleaner looking and allows for some tweaks to the cooler to allow it to clean snow/ice off better. We also find that this changed rear tunnel piece affords better space and mounting options for optional storage bags and such. 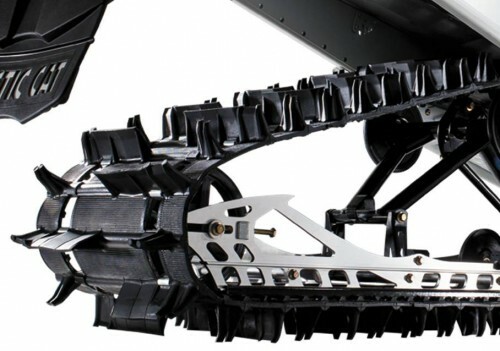 But the big news on the back end is the introduction of the new 2.6” PowerClaw track. Now we know what you are thinking, “It’s only slightly bigger”. 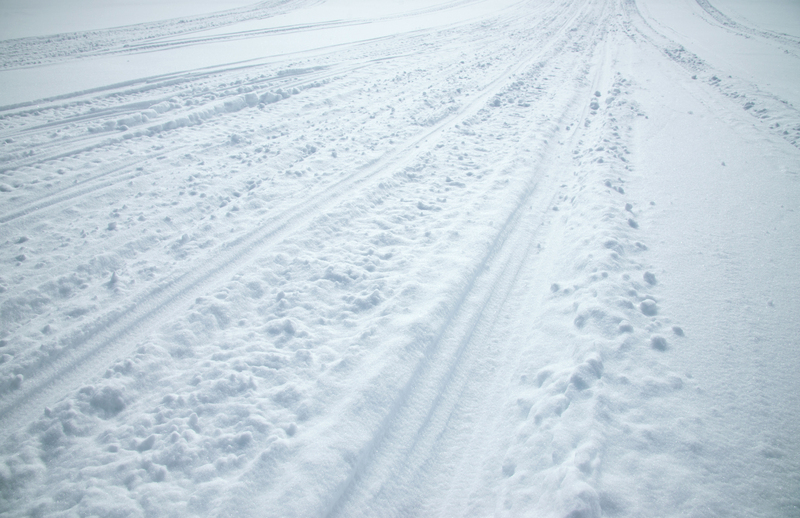 Yeah, well we’re here to tell you that the difference in the deep snow is pretty amazing. Now is it all the track? Probably not. 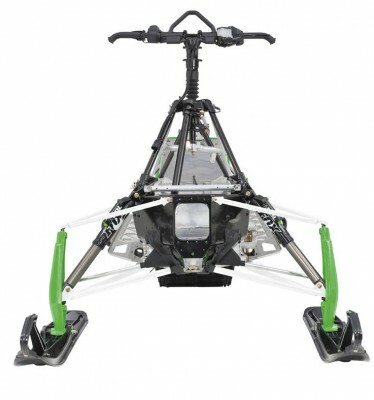 The new mounting position of the rear suspension likely has something to do with it, but in side by side runs with the 2012 M the 2013 comes out of the hole and up on the snow better and punches 2-3 sled lengths higher on hills that you can’t climb out. 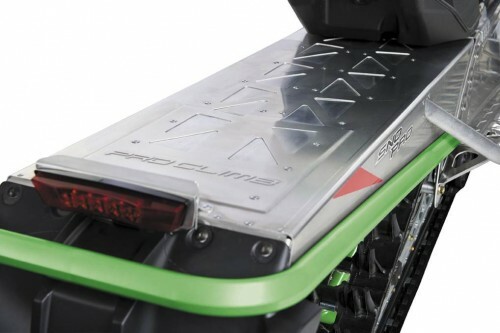 Kudos to Arctic Cat for the 2013 improvements. As we ride it more and more we gain even more appreciation for the changes. Not just a new graphics package but some great improvements that definitely make the 2013 a step forward in the mountains.